At the basis of it all lay the insult: dark, grave, sour and deforming. In 1939, already well advanced in its campaign to conquer Europe, Germany and its 1000 years Reich were about to take action to heal a deep wound in the nation's pride, a wound that festered and grew as an outcome of what was conceived as a chain of insults inflicted upon the German Nation through recurring thefts of art work through the ages, last but not least among them was Article 231 of the 1919 Versailles Treaty demanding compensations in the form of art works for damages inflicted upon religious and cultural institutions by German troop during World War I. This paper will center on what might be described as a relatively obscure report compiled during 1940 and titled "The Kümmel Report". This document, consisting of 319 pages of which only 7 copies were made was a confidential dossier intended for the eyes of high ranking Third Reich officials. This compilation of ideas, facts, and mostly long lists of works of art and their contemporary whereabouts, demonstrated how Germany intended to repossess what was perceived as rightfully hers and had been taken away by various warring nations. The report, masked by a veneer of academic assignment did not hide its wish to repatriate in ways (legal or illegal) the many treasures which were no longer in German hands. Long before Hitler invaded neighboring countries, he had his eye on their art treasures, regarding them as part of the German Heritage. He also coveted them for himself not only as leader of the Third Reich but also as an art collector. German cultural property, he preached, had been plundered over the centuries and should be repatriated. Napoleon stocked the Louvre with German masterpieces. The crown jewels of the Holy Roman Empire were taken from Nuremberg to Vienna. The Treaty of Versailles included art as reparation for damages and loss incurred by a war initiated by Germany. Widely perceived by Germans as unjust, the Treaty of Versailles increased the German sense of victimhood. In the view of the Third Reich, the civil world knew that the best of their treasures, their artifacts, paintings, altarpieces and much more were taken away from the German nation systematically, ruthlessly and brutally since the year 1500 through what seemed at times to be lawful international means. The Kümmel report pointed to France as the main culprit, and not just the neighboring state on the West but also France of Louis XIV, and later that of Napoleon Bonaparte and of the Franco-Prussian war of 1871. While France was, by and large, the main target of the report, demands for repatriations went as far as the Metropolitan Museum in New York, Buckingham Palace in London and the Hermitage in Leningrad. A year prior to assigning Professor Otto Kümmel, the Director General of the Prussian Museums in Berlin to take upon himself the task of preparing a report listing the stolen items and their current whereabouts, Joseph Goebbels, Hitler's Minister of People's Enlightenment and Propaganda, knew that Hitler placed special emphasis on the role visual arts played and its vital propagandist value within the State. He was also was well aware of how the intimate circle surrounding Hitler used works of art as a means to get closer and hob-nob with him. He then took over an ongoing survey conducted by the Ministry of Education of the Third Reich, headed by Dr. Bernhard Rust. This project which begun in 1939 was conducted by two art historians: Rudolf Brandts and Kart Wilkes with the authorization and blessing of Hitler. It was referred to as "Reclaiming of Cultural Goods from Enemy States". The year 1500 was chosen as the embarking point for the report because the Third Reich saw itself as a reincarnation of the Holy Roman Empire at the beginning of the 16th century. At the transition from the late Middle Ages to the modern era, the Holy Roman Empire of the German Nation (Heiliges Römisches Reich Deutscher Nation) included the modern-day European nation-states of Germany, the Netherlands, Belgium, Luxembourg, Switzerland, the Czech Republic, Slovakia, Austria, and Slovenia, as well as parts of France, Italy, Denmark, Hungary, and Poland. The head of the Empire was the Roman king, who also held the title emperor. When the Nazi regime sought to legitimize their power by portraying their ascendancy to rule as the direct continuation of the ancient German past, they adopted the term Drittes Reich. During and following the Anschluss of Austria in 1938, Nazi propaganda used the political slogan "Ein Volk, ein Reich, ein Führer" (one people, one Reich, one leader), in order to enforce a pan-Germanic sentiment. Then intention was to enlarge the then-established Greater German Reich by (gradually) annexing all the historically Germanic countries and regions of Europe: Flanders, the Netherlands, Denmark, Norway, Sweden and others directly into the Nazi state. Let us return to the Kümmel report: Goebbels' first move after taking over the earlier version of the survey was to employ a different team of museum curators and directors led by Prof. Kümmel to complete the task. Two basic premises stood at the base of the report: one was the feeling of being driven to cultural inferiority due to historic injustice over 400 years, while the other was the need to rectify the situation through actions which will be taken based on the findings in the report. The question of why Kümmel was handed this task are relevant because he was chosen to perform a task which was not related at all to his actual field of expertise, but had everything to do with his current position within the Berlin art world. This strange obituary was published in Ars Orientalis in 1954 by Prince Aschwin of Lippe-Biesterfeld, a former Nazi party member who worked at the Dept. of Asian Art at the Metropolitan Museum, New York after the war. Otto Kümmel was born on August 22, 1874 in Blankenese and died in 1952 aged 78, in Mainz. He studied archeology and philosophy. A conservative and a patriot he moved to Berlin in 1904 to work at the East Asian department of the Berlin Ethnological Museum (Völkerkundemuseum). In 1906, Wilhelm von Bode hired him to be the first director of the new Department of East Asian Art at this Museum, which was part of the Berlin Museums structure that Bode oversaw. Kümmel was a committed Nazi who joined the party in May 1933 and soon started dismissing those working under him if they did not express open allegiance to the party, replacing them with party members. In 1933 he was appointed Director General of the Prussian museums in Berlin, a position he held till 1945. In a report compiled by the Americans after the war they state the following observations: "Became chief of all the Berlin Museums by virtue, probably of being a secret Nazi when that was a dangerous thing to do. Probably knows more of what goes behind the scenes than any other, if he still is in favor with the party. Might be very cooperative…"
Judging by these testimonies on the man's character, it is certain that he could delegate authority and demand accurate and quick results; this most likely insured that the Minister would receive the report that he anticipated. After taking upon himself the mission of compiling the report, Kümmel recruited several arts curators to do the research. He was also assisted by officials in occupied Paris from mid-1940 on. The men working on his behalf were: Dr. Bernard Rademacher, the director of the upper Rhine Museums; Dr Hans Joachim Apfelstaedt who acted as Chairman of the Committee for the Study of Stolen Cultural Property in earlier wars from the Rhineland; Dr. Hentzen, curator at the Gemäldegalerie, the National Museums; Dr. Kiels von Holst, a scientific researcher at the Staatlichen Museen, Berlin; Dr. Hans Bammann from Dusseldorf who worked as a purchasing agent in France for Museums in Dusseldorf , Cologne, Aachen and Bonn; Graf Wolff Metternich, responsible for the Kunstschutz in France from 1940 to 1942, whose office in Paris provided important assistance; and from a certain Dr. Schnad who facilitated the entry to and use of the Archives Nationales in Paris. It is important to note that most of these names would re-surface again in 1946 in the list of Red Flag names complied by the Office of Strategic Services Art Looting Investigation Unit (OSS ALIU) of US Army Intelligence, which identified the art historians who participated to some degree in art looting all over occupied Europe. Kümmel completed his task by December 31, 1940, and the report was submitted in three volumes to the Reich's chancellery by the 20th of January 1941. It contained the ultimate wish-list for repossessing works of art from museums as well as from private collections in the western world. Among the long list of demands, let us look at three cases for repatriation in order to demonstrate the imbalance and inaccuracy in the findings of this hastily compiled report, when its content is put to the test. The first page of the main list starts with works of art looted from Germany in 1806, probably during The Confederation of the Rhine. 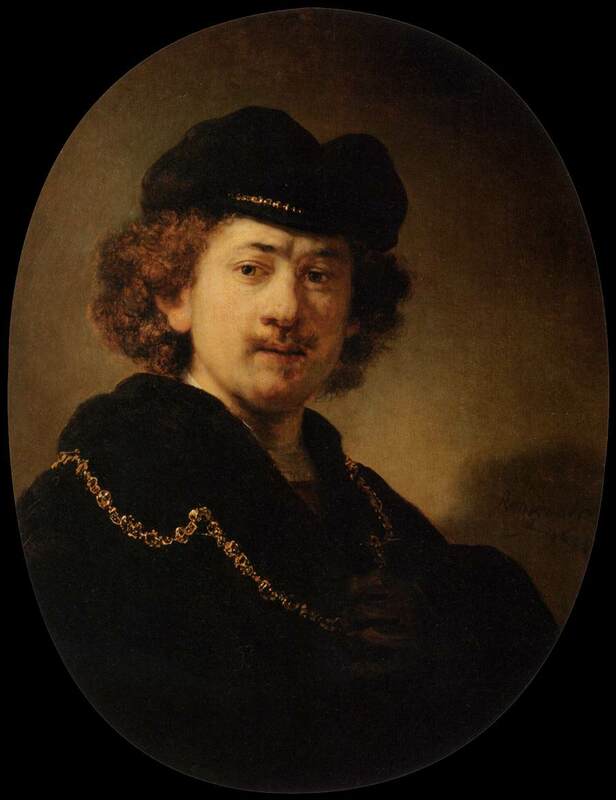 Number 2 on the list is a painting in the Louvre collection, featuring a self-portrait by Rembrandt dated 1633. The report does not state where the painting was taken from or in whose possession it was prior to the year 1806; it only states: "Näheres nicht festzustellen", i.e. that the details are not determined. Indeed this self-portrait by Rembrandt is in the Louvre collection but with a different provenance; according to three databases (Atlas of the Louvre, Joconde of the national museums of France as well as the Dutch RKDimage) the painting was in the private collection of Etienne François duc de Choiseul in Paris. In 1772 it was auctioned and purchased by the painter Charles Le Brun. Later it was in the private collection of Augustin de Cosse' duc de Brissac, and was confiscated from his possession during the Revolution in 1794. At an unknown date it was transferred to the Louvre as inventory/catalogue number 1745. With such provenance how could anyone claim it was taken out of Germany in 1806? A large number of Dutch and Flemish paintings were targeted in the report. It is intriguing to examine how they were conceived as "Germanic Art". The search for an answer takes one to a book that had great impact on the shaping of Hitler's aesthetic concepts, especially regarding what was pre-conceived as Germanic in spirit. In 1890 Julius Langbehn published Rembrandt als Erzieher (Rembrandt as Educator). Langbehn – who also possessed antisemitic ideas and predicted that a Greater Germany would one day govern Europe and the world – found heroic qualities in Rembrandt, whom he declared to be a model for the Germanic culture and the Aryan race. His book took the German art history world by storm. It deplored the state of contemporary art production, suggesting that, Rembrandt, an example of the southern German "race," was part of a pure Volk least defiled by racial intermixing. He wrote that Rembrandt's work reflected the German spirit, free of sterile intellectualism and decadence, and that his masterly depiction of light showed he could overcome forces of chaos and darkness. This book attracted praise not only from the conservative right but, for various reasons, from a variety of important art historians of the period such as Wilhelm von Bode who praised its ideal of the German spirit. "Rembrandt's nation celebrates its greatest son not as a possession for itself alone, but as one of the greatest and most noble creations of the Germanic spirit," declared Dr. Tobie Goedewaagen, the General Secretary of the Dutch National Socialist movement in 1941. The figure of Rembrandt as hero and painter came up time and again in Hitler's conversations and Hitler tried to convince himself of the master's Aryan origin. Another interesting case is no. 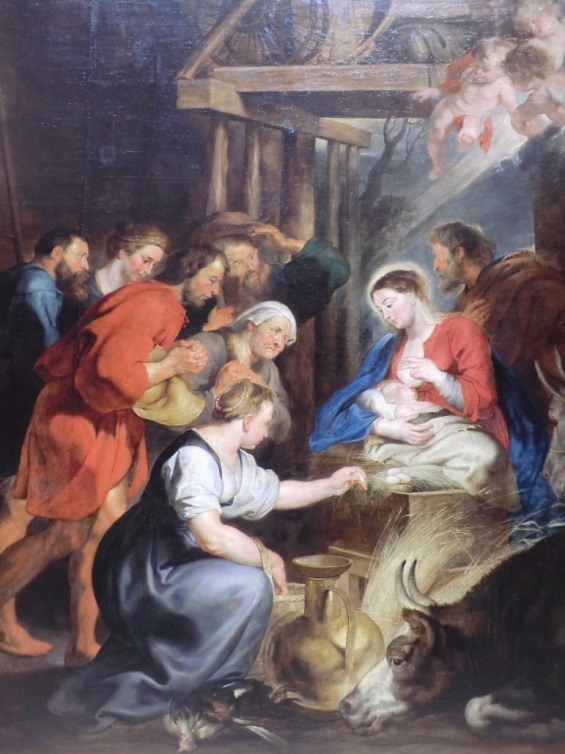 7 on the Kümmel list, "The Adoration of the Shepherds", a large oil painting on canvas by Peter Paul Rubens, dated 1615. It was bought directly from the painter by the Capuchin monks of Aachen around the year 1620. According to the Kümmel report, this painting was confiscated from the Kapuzinerkloster (which ceased to exist in 1802) in 1794 when the area was occupied by French troops. The painting, says the report, is in the Museum of Rouen under inventory number 822. While this number is inaccurate (the correct one is D.803.6) no one denies its shady provenance; even the Rouen Museum's official website states: "The Musée des Beaux-Arts de Rouen was created shortly after the Revolution through the Chaptal Decree of 1801, but the first steps towards forming a public collection began in 1790… works by Gerard David, Veronese and Rubens were confiscated under Napoleon and sent to the museum in 1803". These are only two examples out of hundreds. Other major works of art from the report were targeted plainly in order to replace works "stolen" at times past. Generally speaking, the report tended to review France as the main offender against Germany, but not only France was targeted. 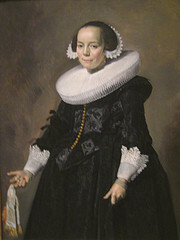 Another painting mentioned in the report was "A Portrait of a Young Woman" by Frans Hals, dated 1634. In 1940 it was already part of the collection of Jewish Baltimore-based businessman and philanthropist Jacob Epstein (who in 1945 bequeathed it to the Baltimore Museum). The portrait was acquired by Epstein in Paris by 1924. It was once part of the distinguished collection of the late Belgian-German collector August de Ridder, thus it was considered to be German national property that must be repatriated. The Kümmel report, after being handed to Goebbels in early 1941, was shelved and as time passed was almost forgotten. One could ask, why it was needed in the first place especially while confiscations, sales under duress, forced auctions, and plain looting of works of art were taking place within Germany and beyond its borders since the mid 1930s. Why was there a ministry demand for a so-called scholarly compilation of facts and lies? A plausible answer could be that this report was aimed to be put to use at the end of the war, after the Third Reich's victory was secured and negotiations for a peace treaty of sorts would begin. Claims similar to those handed to Germany in 1919 would be handed this time by Germany to the Americans, the British, the Russians and other nations who would now yield to Hitler's power and would be obliged to hand over the works of art in their jurisdictions. But the war ended in a differently than hoped for by the Nazi regime. While items on the report were probably (to some degree) looted by the ERR or other groups acting on behalf of Hitler and Goering, in time, after the war ended, they returned to the museums or the collections from which they were looted. Otto Kümmel survived the war but lost both his sons. In February 1945 his office and research material were destroyed in a bombing. As the Soviet army entered Berlin, Kümmel saw to it that soldiers understood where the art was stored in order to ensure its survival. Consequently, much of the stored collection ended up in the Hermitage in Leningrad. After 1945 Kümmel was no longer director of the Berlin Museums but did continued working in his field and independently curated several shows at Celle and Berlin. He fell ill in 1951 and was flown by U.S. military transport to the Mainz University Hospital where he died in 1952. This document specified who were the people and the organizations that were active in the art trade during the Nazi regime. August Cornelius de Ridder (1837- 1911) was a Belgian- German businessman and art collector. De Ridder acquired a considerable fortune, which enabled him in 1891 to form the starting point for his art collection, which since 1890 has focused on the Dutch and Flemish masters of the 17th century and thematically on portraits, genre scenes, interiors and landscapes. The collection was characterized therefore by its unusual homogeneity, with the highest quality advised by Wilhelm von Bode, curator of the Kaiser Friedrich Museum in Berlin. Bode also questioned the gallery with 85 images in a carefully edited and lavishly equipped catalogue. 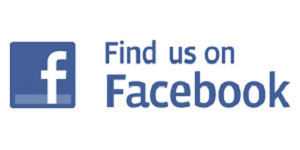 The first and later in a nutshell appeared in German and French in 1913 and in English. After the death of de Ridder's 1911, the Städel Art Institute in Frankfurt took the collection on loan. De Ridder's will specified that in the event that the family should decide to sell the collection, this should be done by the Kleinberger gallery in Paris. In 1913 the collection was at the New York branch of Kleinberger, where it was presented to potential American buyers. Then the collection returned Paris, where it was when the war broke out in 1914 and was seized as enemy property. On June 2, 1924, according to this interpretation of the law, it was returned to Paris and the Frans Hals portrait was sold to Epstein. Gabriel Rouchèz: La Collection de Ridder. L’Illustration, Jg. 82, No. 4239, Samedi 31. Mai 1924, S. 525-530.